§0. My comments here celebrate a celebration. The original celebration happened on October 14, 2018, and this happening was given a most remarkable name: “The Gatsos I loved: A concert.” The concert was presented by the Harvard University Library, primarily through the efforts of Rhea Lesage. In gratitude for her accomplishment, I dedicate to her my comments here as a celebration of the original celebration. What I write, in the afterglow of a few days later, is about the poetry of Nikos Gatsos (Νίκος Γκάτσος) as we see it embedded in music composed by Stavros Xarhakos (Σταύρος Ξαρχάκος). I focus on one of several songs that these two artists created together for the film Rebetiko (Ρεμπέτικο), which originally appeared in 1983. The song, which was not one of the pieces featured in the luminous concert of October 2018, highlights the word “καίγομαι”—and I translate it for the moment as ‘I’m burning up in flames’. Why do I focus on this song? In the comments that follow, I give seven reasons. §1. First, I focus on this song because I love the poetry of Gatsos that I hear embedded inside the music composed by Xarhakos, which I love equally. Such embedding, as I just called it, reminds me of the interaction of poetry and music in ancient Greek songmaking, where the oldest forms of poetry and song are undifferentiated from each other, as I argued in the book Pindar’s Homer (1990:41–42). I cite there the formulation of A. M. Dale in The Lyric Metres of Greek Drama (2nd ed. Cambridge 1968:166), who makes use of Milton’s concept of Voice and Verse as uniting to form Song: “For the Greek lyric poet Voice and Verse were not a pair of sirens; Verse was merely the incomplete record of a single creation, Song.” So, the interaction of the poetry of Gatsos with the music of Xarhakos is to my mind a good enough reason for producing an essay such as this one, which celebrates, after all, the legacy of Gatsos—an artist whose role in the creation of song can remain dynamically alive in the living archives of the Harvard University Library. The story of the Library’s custodianship of this legacy is told briefly but forcefully here: https://library.harvard.edu/about/news/2018-08-21/harvard-library-presents-gatsos-i-loved-concert-october-14-2018. To supplement what is said at that site, I have asked my colleague Rhea Lesage to write an afterword as the last word, as it were, for supplementing the comments I am presenting now. §2. But here is a second reason for my focusing on the song that starts with the word καίγομαι. The thing is, I not only love to hear the poetry of Gatsos and the music of Xarhakos as they blend together in this song. I also love to see the film inside which the song itself comes to life. The film is Rebetiko (Ρεμπέτικο, alternatively transliterated Rembetiko), which appeared in 1983, directed by Kostas Ferris (Κώστας Φέρρης) and scripted by Ferris together with Sotiría Leonárdou (Σωτηρία Λεονάρδου), who also acts the main role. She is a woman named ‘Maríka’. Other actors in this film who must be remembered include Nikos Dimitratos (Νίκος Δημητράτος) as ‘Panagis’ and Nikos Kalogeropoulos (Νίκος Καλογερόπουλος) as ‘Babis’. Also to be remembered is the creative collaboration of Nikos Gatsos with Agathi Dimitrouka (Αγαθή Δημητρούκα) in the composition of many of the lyrics composed for Rebetiko. §3. There is more to it. A third reason for my focusing on a song that starts with the excruciatingly painful sensation of burning up in flames is this: I love also to hear—and to see—the passionate singing of Sotiría Leonárdou in the role of Maríka, who is shown in the act of performing this song of pain. The sensation of burning up in flames, felt by the character of Maríka, blends beautifully with the plot of the whole story that is being told in the film Rebetiko. 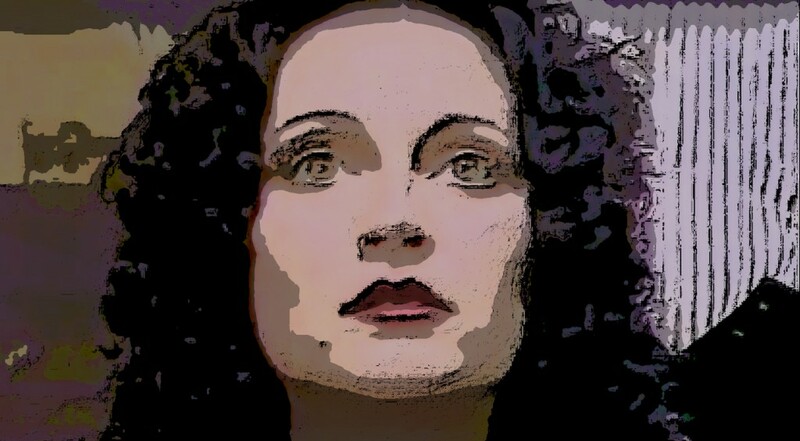 After Rebetiko, directed by Kostas Ferris (1983): Maríka about to sing. §4. And there is even more to it. A fourth reason for my focusing on a song that highlights the Modern Greek verb καίγομαι ‘I am burning up in flames’ is the fact that this verb is derived from the ancient Greek verb καίω/καίομαι ‘I burn’. And, just as important, there is the added fact that the Modern Greek noun καημός is derived from that same ancient verb. But Modern Greek καημός means, on the surface, not ‘burning’ but, rather, ‘pain’ and ‘sorrow’ or even ‘longing’ and ‘desire’. All these meanings, I will now argue, converge on a single driving metaphor, which is, that I feel a burning pain and sorrow or longing and desire. Further, the word καημός refers not only to pain and sorrow or longing and desire but also to a song about pain and sorrow or longing and desire. Such an extended meaning that includes song reminds me of the meaning of akhos and penthos in ancient Greek songmaking: these two words refer not only to pain and sorrow but also to a song about pain and sorrow. Such a song, from the viewpoint of anthropologists, is a lament, which merges feelings of pain and sorrow with feelings of longing and desire, as I have argued in Hour 3 of H24H, especially at 3§13. §5. I now come to a fifth reason for my focusing on a song that highlights the word καίγομαι ‘I am burning up in flames’. In Modern Greek song culture, a kind of singing that expresses and embodies καημός as a metaphorical ‘burning’ is rebetiko (ρεμπέτικο, alternatively transliterated rembetiko), which was the inspiration for the title of the film Rebetiko. This kind of καημός expressed the pain and sorrow of what is still known as the Catastrophe of 1922. It happened in Asia Minor, and the focal point of the catastrophe was the proud old city of Smyrna. Among the horrors of that painful and sorrowful event was the burning of the city, now known by its Turkish name İzmir. The vast stream of refugees that fled from their burning homeland in Asia Minor made its way to the modern state of Greece in Europe, where they endured all the predictable sufferings of dislocated populations. Their desperate lives were sorely afflicted by poverty, addiction, violence, prostitution, and even domestic abuse. For a survey of the rebetiko singing that painfully but beautifully laments such afflictions in those times and beyond, I cite a provocative book by Gail Holst (-Warhaft), Road to Rembetika: Music of a Greek Sub-Culture—Songs of Love, Sorrow and Hashish (Limni Evias 2014). Eventually, the singing of rebetiko evolved out of its conventionally unacceptable subculture and became an integral part of the general popular culture. Meanwhile, the older style of the sad old times has been inscribed in 2017 (12.COM) on the Representative List of the Intangible Cultural Heritage of Humanity, https://ich.unesco.org/en/RL/rebetiko-01291. The film Rebetiko, appearing in 1983, so many years after all the suffering, is a nostalgic attempt at bringing back to life the sweet old sorrow. §7. Finally, I turn to the seventh and last reason. I refer here to the actual combination of the words καημός and καίγομαι in this song. I show this combination by quoting the whole song as actually performed by the woman who sings the pain. What follows is a transcription of the words composed by Gatsos, followed by my own translation. a sorrow [καημός] is born. throw me into the depths of the sea [θάλασσα]. I would turn it into laughter. may you be called blessed. Embedded in my translation, within square brackets, are important Greek words that I highlight for different reasons. Those words that are highlighted by way of underlinings are recognizable to anyone who reads ancient Greek. Those words that are highlighted by way of italics, on the other hand, would be recognized only by those who are conversant with Modern Greek. The contrasts of underlinings and italics remind me of a book by Raymond V. Schoder, Italian is easy, if you know Latin (1960). 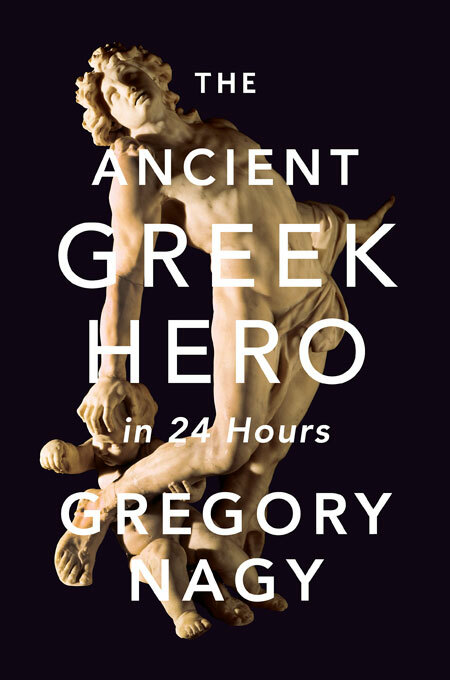 Somebody should write a book Modern Greek is easy, if you know Ancient Greek—but it is also harder that way. Thank you, Greg, for dedicating this engaging piece to my efforts to bring “The Gatsos I Loved” concert to Harvard and to welcome the archive of this great poet, lyricist, and translator to its permanent home at Harvard’s Houghton Library. Your essay clearly demonstrates that this poet, who was so admired by Nobel laureates Odysseus Elytis (Οδυσσέας Ελύτης) and George Seferis (Γιώργος Σεφέρης), has a reach that transcends time and space. Over seven hundred people packed the historic Sanders Theatre to hear the legendary Greek singer, Manolis Mitsias (Μανώλης Μητσιάς), and renowned actor, Karyofyllia Karabeti (Καρυοφυλλιά Καραμπέτη), perform songs written by the poet and put to music by composers Manos Hadjidakis (Μάνος Χατζιδάκις), Mikis Theodorakis (Μίκης Θεοδωράκης), and Stavros Xarhakos (Σταύρος Ξαρχάκος). Classical pianist Achilleas Wastor (Αχιλλέας Γουάστωρ) and traditional bouzouki and mandolin player Heracles Zakkas (Ηρακλής Ζάκκας), provided harmonic arrangements with Greek folk ornamentations to complement the golden voice of Mitsias. Ms. Karabeti delivered a full range of emotions both in her singing and in her readings, which included works by or in praise of Gatsos (Γκάτσος). People came from throughout New England and beyond for the unique opportunity to see this single U.S. performance. Honored guests included the former Prime Minister of Greece Lucas Papademos, Consul General of Greece in Boston Stratos Efthymiou, Secretary Achilles Rakinas from the Embassy of Greece. President Drew Faust’s vision for “One Harvard” was clearly on display as you and our other distinguished Harvard faculty colleagues were in attendance: Dimiter Angelov, Kathleen Coleman, Eurydice Georganteli, Michael Herzfeld, Ioli Kalavrezou, Nicolas Prevelakis, Panagiotis Roilos, and Mark Schiefsky. The Greek academic community was also strongly represented with faculty and students from the Boston area, and from as far as Brown and Yale Universities. It was an opportunity of a lifetime for me to organize this concert in close collaboration with Agathi Dimitrouka (Αγαθή Δημητρούκα), Gatsos’s life partner and poet, lyricist, author, and translator in her own right. 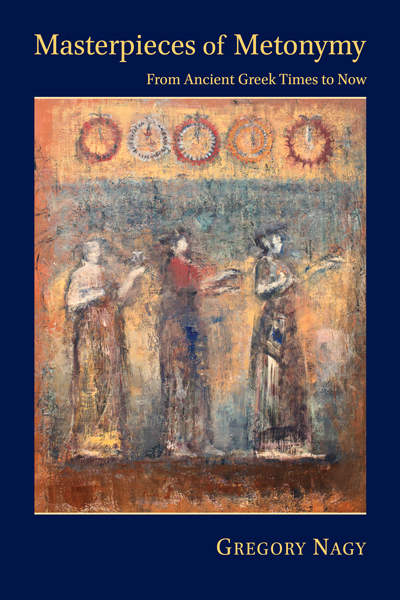 I am truly grateful to you and the Center for Hellenic Studies (CHS) for helping to sponsor the “The Gatsos I Loved” celebration and for your and Holly’s warm and generous reception at the Society of Fellows to welcome our honored Greek guests. Finally, please extend my warmest thanks to CHS Executive Director M. Zoie Lafis for her great enthusiasm and help leading up to, and through the performers’ stay in Boston. The archive of Nikos Gatsos is now under the curatorship of Leslie Morris, Gore Vidal Curator of Modern Books & Manuscripts at Houghton Library. Leslie and I are working closely to oversee the detailed cataloging of the collection, and it will take many more months to reveal the richness of the papers and books for the study of Greek language and culture at Harvard, and beyond. A preliminary finding aid is now available in the Hollis catalog, and the archive is now open to students and researchers everywhere.